I can not post an answer using my Samsung galaxy tablet, only " start a post". Do wish it stopped at 6 or 7,000 rpm. Would be neat to place a redline area in face. Actually, I have the tach on the big scale and the speedometer in the center. 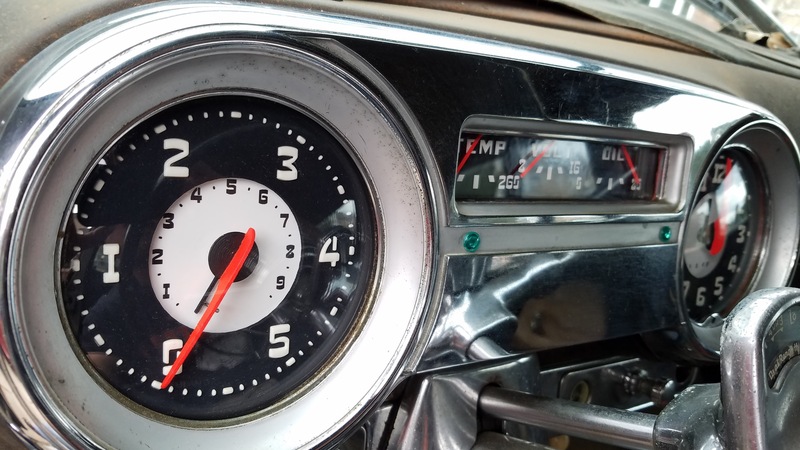 I do have a face designed with the tach in the center at 0-8000 rpm and the speedometer to 110 mph. Really like the gas gauge in the speedo too! Grim, how is progress on the guages now? Coming along, finishing up my exhaust now before I drive too much. Looks great! Plenty of light as well. 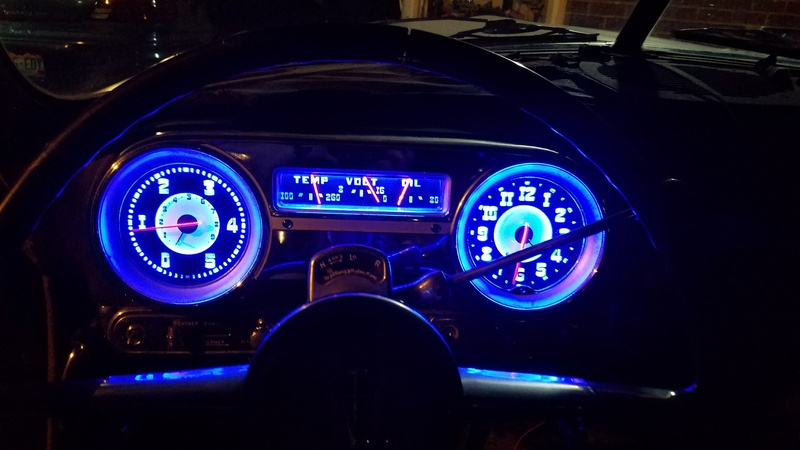 Think I need those gauges to go with the 1000+ LEDs I have on the bottom of the '53 !! As I have posted before; GREAT JOB!!! I recently purchased a product that GrimGreaser designed... an electric chock adapter for WA1 carbs. The design has been provided to a product production and distribution company, who promptly provided the product to me via USPS. Another great job from a Hobbyist. Thanks Glowplug, I'm glad they worked so well. What chokes did you use?